All condominiums are different from each other, but they always have one thing in common: there are one or more doors which must be opened by all the residents, whilst there are other doors which must be opened only by a single individual/family. The former are all the shared entrances/halls/corridors, such as the access doors to courtyards and garage areas, pedestrian gateways, doors to main stairs and cellars. The latter are the accesses to private areas, such as doors to apartments, individual garages and personal storerooms. Having several locks normally also means having multiple keys. And these keys are in addition to those for the car, office, home, bicycle… At first glance there are 2 possible answers: either many small bunches of keys, with the risk of leaving them somewhere by mistake, or one large bunch which is awkward to carry and difficult to use. But, as we have already seen in the case of shops, this does not necessarily have to be so. Even in the case of a condominium or multi-family house you can manage all locks with a single key. Once again, what is needed is a key system, in particular a Central Cylinder (CC) system. 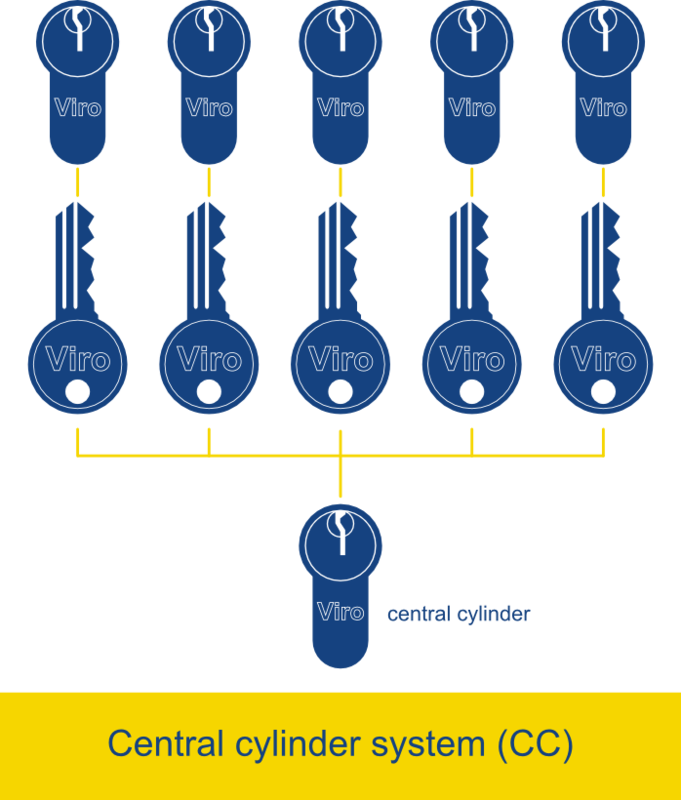 A central cylinder system consists of a series of locks which each open only with the relative key, but this particular key is able to open one or more shared doors/gates. In a central cylinder system each key opens one (or more) private locks and one (or more) shared locks. In this way, it is possible to get from the road to your own lounge with just a single key. If you want to further simplify your life you can combine a central cylinder system with an equal key system, so as to manage all locks in your home (safety gates, grilles, retractable gates, etc.) with the same key. Many Viro products (mortise door locks, padlocks, locks for garages, gates, etc.) lend themselves to the creation of a central key system. For example, all the locks designed to work with a type of profile cylinder can be part of the same central cylinder system (CC). 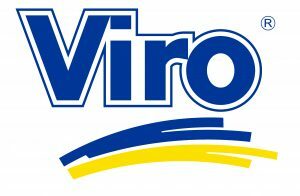 This possibility is clearly indicated in the pages of the various products shown on the website www.viro.it by the term “all special executions are possible”. 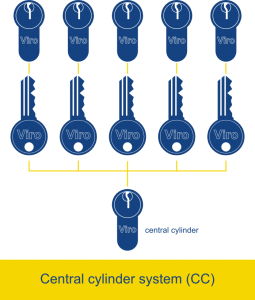 A central cylinder system can be requested directly from the Viro retailers. Reducing the number of keys to have in one’s pocket is an undoubted convenience, which will be appreciated many times a day every day. Just like an automatic gate, your car’s remote control or many other simple solutions which facilitate our daily lives, once you have tried it you will wonder why this wasn’t done before! This entry was posted in Locks and Cylinders and tagged home, special key systems, technology on 29 September 2014 by Mara Rossi.